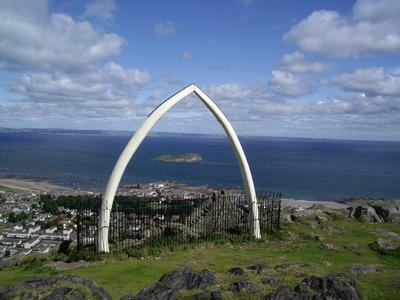 Realy amazing place to stay in North Berwick. 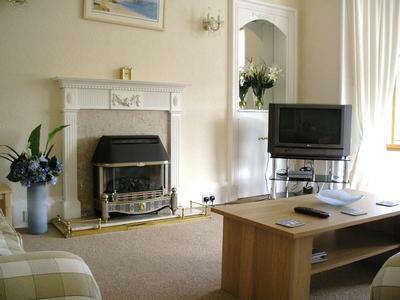 Lovely bright and spacious flat, close to the beach, harbour, shops and popular golf courses. 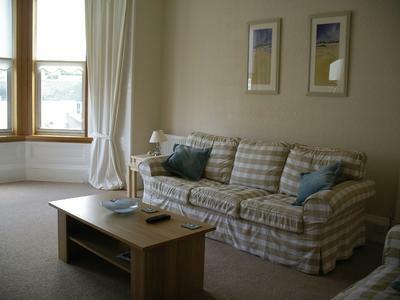 This holiday venue provides ideal family accommodation or suitable for a quiet and relaxing break with wifi. Accommodation: Open all year; sleeps 2-6; bedrooms 2. This lovely flat has one double bedroom with king sized bed and a twin bedroom with 2 single beds; bathroom with electric shower fitting; galley kitchen with spacious dining/family room off and a beautiful, bright lounge which has a sofa bed. The lounge/sitting room is large and comfortable with a good view towards the beach from the left bay window where many guests will happily spend time enjoying the lovely view in quiet surroundings. This is a non-smoking flat and no pets are allowed. Facilities provided include: wifi connection, tv, DVD player, radio, microwave, fridge, hair-drier, iron, washing machine and outdoor drying area in shared, enclosed garden. The flat provides an excellent base for artists, sailors, golfers, walkers, cyclists and bird watching enthusiasts to explore the many visitor attractions in East Lothian and surrounding countryside. Sporting enthusiasts are spoilt for choice with the number of sporting facilities provided in the town. The flat is a two minute walk from the all-weather tennis courts and west putting greens and only a short walk from the Glen Golf Course and the Yacht Club. There is also an indoor swimming pool and sports complex at the foot of the Law Hill near to the schools. There are over 20 golf courses, to suit all abilities and many open to non-members, only a short drive from the town. All the amenities of North Berwick are on your doorstep – great restaurants, artisan shops, supermarkets and a great harbour for boating. 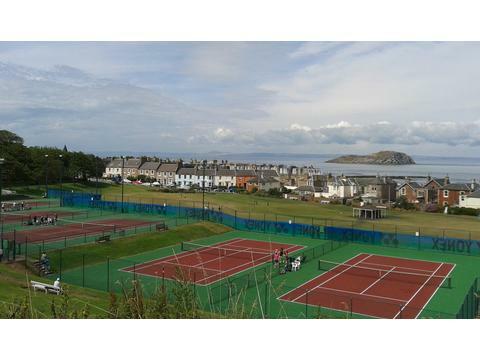 Self catering holiday apartment, located in North Berwick with all local amenities on your doorstep – variety of sporting facilities nearby for tennis, golf etc,great restaurants, artisan shops, supermarkets and a great harbour for boating.